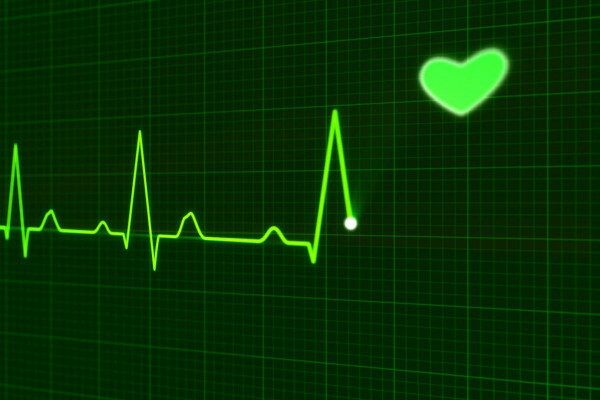 Do we have a finite number of heartbeats? As one interested in physical fitness (but now age 65) I have wondered about the theory that "we all have a certain number of heartbeats programmed into us. If some other factor doesn't end our lives, we'll run out of heartbeats." By training at accelerated hearbeats regularly, does one "use up" this resource? Or does the better conditioning end up meaning in non-exercise periods, the heartbeats slow due to more efficient circulation thus the total heartbeats per year of adulthood are reduced if one exercises thus one can live longer (again if something else doesn't get us)? Victoria - I don’t think you can say that there's a finite number of heartbeats, but there's certainly an average of times a heart will beat during a human life span, just because there's an average human life span and there's about an average number of times that the heart will beat, because it keeps going generally at this continual speed. But I think you're quite right about getting this trade-off between fitness and slowing down your resting heart rate because you're strengthening your heart. Your heart is a muscle and by working it out, you're making it stronger, and you're making it more efficient. It doesn’t have to work so fast and so hard to pump the blood flow through, and if you eat a healthy diet and don’t have all the nasty fats that have lined in your arteries, then you give that an extra boost as well. It can be much more efficient and keep your body well circulated with lovely oxygenated blood. But during the average life span, the human heart beats around about 2.5 billion times. That’s the number that’s thrown around, but that’s just about an average life span, so don’t worry about running out of heartbeats at all! I don’t think that’s anything that you need to be concerned about and certainly keep up that fitness because the stronger your heart generally, the better shape you'll be in for a lovely long life. Chris - I think the other point that he’s making which is an interesting one is, if you do exercise, yes, when you're exercising, your heart rate obviously goes up quite a lot to sustain the output that you need. But then because you're getting a fitness improvement, then the heart thus becomes larger to accommodate the exercise regime, it therefore can beat fewer times because it’s working this hard, because it’s more pumping more blood with every beat. So actually, the point he’s making is that the area under the curve, the number of beats it ends up doing despite the augmented number of beats during the exercise is actually probably going to be lower. Victoria - Yeah, absolutely and having that fitness and being able to work out your heart and make it much more efficient is certainly a beneficial thing. I don’t know if you saw just in the closing days of the Olympics, there was a great article on Bradley Wiggins heart and the amazing lengths that it has to go through and the strength it’s built up to. They describe this left ventricle as "bucket-like" which is apparently several times larger than your average person. So, it clearly does something really, really good for your performance and probably your longevity too. Chris - An Olympic athlete actually has a lower maximum heart rate than an untrained, unfit person like me because their heart has got so big because of the intense training regime that it can pump a huge amount with every beat, but simultaneously, in order to fill it takes a larger amount of time. So therefore, you can't run it as fast because it’s always going to be limited by trying to fill itself up. So your Olympic athlete actually has a lower maximum heart rate than an untrained person, but then the amount of blood they're actually shifting could be maybe 30 litres a minute from their heart compared with an untrained person like me might manage 25 if they're lucky. Previous Is making vitamin D akin to human photosynthesis? Next How do Rovers Cope with Low Temperatures?